Building codes help keep crawl spaces dry and pest free to prevent structural damage to house framing. It was not too long ago that all crawl spaces contained vents. In theory, the vents allowed outside air to flow into the crawl space, replacing the stale air that was inside. The air movement was supposed to keep humidity levels low and structural components of the house dry. Unfortunately, it did not always work out that way. Many crawl spaces developed mold and wood rot, and the steamy conditions attracted termites and other pests. Today, after much work by builders and building scientists, the International Residential Code allows for both vented and unvented crawl spaces. The IRC is a model building code, which means that states and local jurisdictions can use it to develop their own building codes, but are not required to do so. Always check with the local housing authority on building code questions, as local regulations may follow the IRC or may have their own requirements. Here are the requirements for both vented and unvented crawl spaces based on the IRC. Building codes state that the space between the bottom of the floor joists and the earth that is not a basement needs outside ventilation. There should be vents on all crawl space walls. They should provide a minimum of 1 square foot of vent area for every 500 square feet of crawl space area. If the ground is covered with an approved Class I vapor barrier and the vents are situated to provide cross ventilation, the requirement becomes 1 square foot of vent for every 1,500 square feet of area. The Class I vapor barriers, such as 6-mil-thick polyethylene sheets, stop moisture migration from the bare earth into the house. Many people believe that it is a good idea to cover the earth with a vapor barrier even if you do meet the 1 square foot to 500 square feet requirement. In vented crawl spaces, the floor above the crawl space is usually insulated with cavity insulation installed between the floor joists. 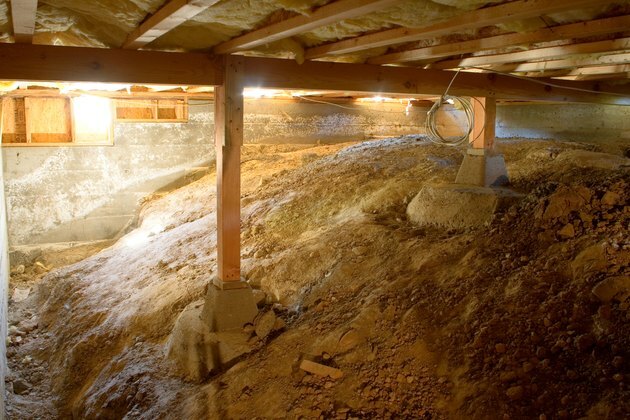 For unvented crawl spaces to work, they must be part of the conditioned space of the house. This offers the advantage of keeping all ducts and pipes in the crawl space inside the building's envelope. Work done by the Department of Energy found that in test houses, unvented crawl spaces used 15 to 18 percent less energy for heating and cooling while reducing humidity by over 20 percent when compared to houses with vented crawl spaces. The results were much the same everywhere, except in very dry climates of the West and in marine climates of the Pacific Northwest. In those areas, both types performed adequately. Here are the code requirements for unvented crawl spaces. The earth must be covered by a Class I vapor barrier. Where barriers overlap, the seams must overlap by 6 inches and be sealed. The barrier must extend at least 6 inches up the walls of the crawl space and be sealed to the side walls or to the insulation on the side walls. Install either a continuously operating exhaust system in the crawl space or provide access to the house's conditioned air, including an air return. This is usually accomplished through grilles or ducts in the floor. Because the crawl space is part of the conditioned space, there is no need to insulate the floor above it. But it is necessary to air seal and insulate the perimeter walls. Installing rigid board insulation, such as extruded polystyrene or polyisocyanurate, is the most common method. The code specifies insulation requirements based on location, in this manner: R-15/19. That means R-15 of continuous insulation (board insulation) is required on the interior or exterior of the perimeter wall, or R-19 of cavity insulation on the interior wall. Many local codes require board insulations on interior walls be covered by a fire barrier, such as 1/2-inch drywall. 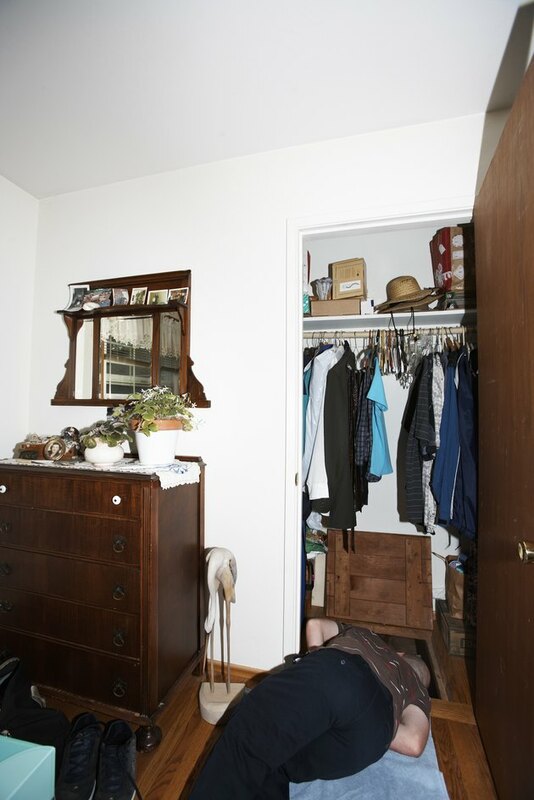 Access to the crawl space must be provided through openings that are no smaller than 18 x 24 inches if they are in the floor, or 16 x 24 inches if they are the perimeter walls of the crawlspace. For unvented crawl spaces, it is best to place the openings in the floor to preserve the integrity of the insulated perimeter wall. Never place the crawl space access under an entry door to the house. Crawl space access can be through the walls of the space or from the floor above. Other requirements include the removal of all vegetation and construction debris from inside the crawl space. If there are drainage problems, the grade of the crawl space should be as high as the finished outside grade, unless an approved drainage system is installed. While unvented crawl spaces are the trend right now, don't panic if your house has the vented variety. But it is a good idea to inspect it or have it inspected by a qualified contractor. Not all vented crawl spaces have problems, and many of the problems are easy fixes if caught early enough. How Do I Improve My Home's Insulation R-Value? House Worm Infestations: How Do They Get In?